How to choose the right Aran for you this season. This week we are going to suggest some ideas for the diffferent kind of Arans on offer in our store. Above Stephen is wearing a machine made Merino Wool Vest, this sleaveless sweater is a classic design with honeycomb and diamond stitching on the front. What might have been considered an older gentleman’s sweater is now worn by all ages! A men’s style, women have also bought this. While traditional in style, the Aran Vest is getting a very contemporary following. Retailing at €59.99 made by Carraig Donn. 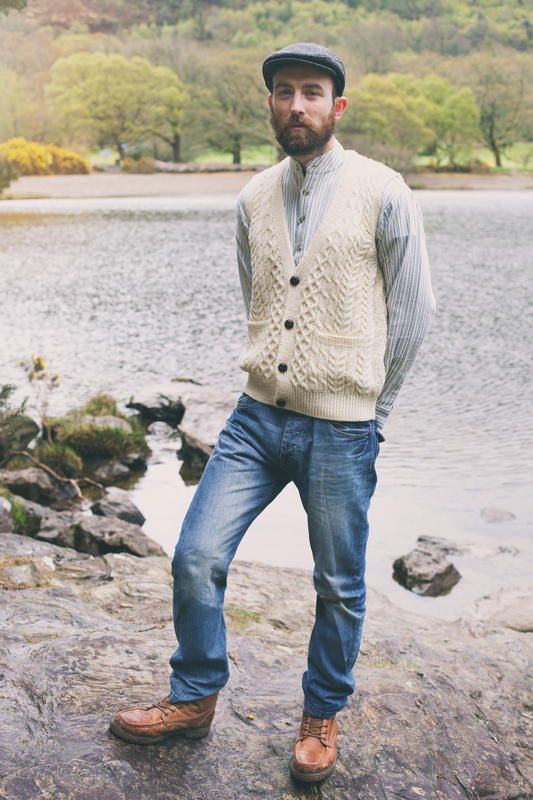 If you want something for the chillier summer evenings, then the full Aran sweater is for you. Made here using Merino Wool, it’s soft and warm, it will take you into the evening, in the garden or at a festival . While it maybe July for our Irish customers you know what it’s like in Ireland after 7pm, you’ll need something heavier to wear if you want to stay out. Machine made here in Ireland by Arancrafts retails at €69.99. 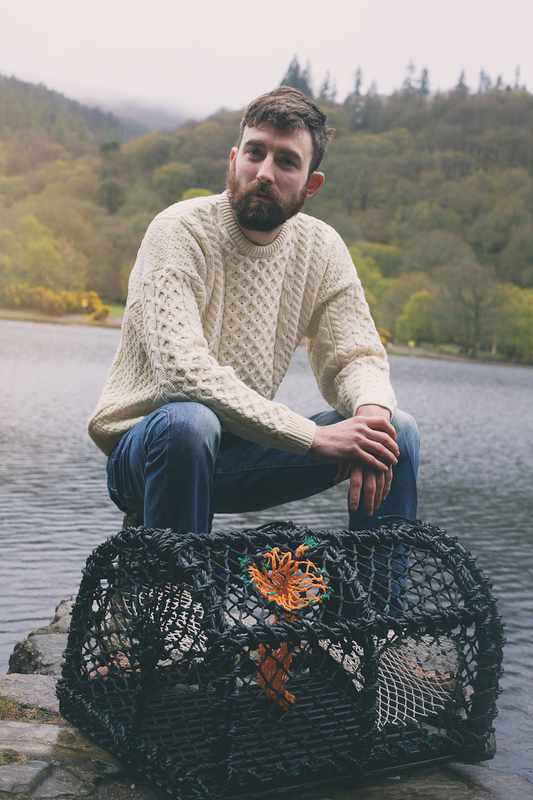 Finally the hand loomed Donegal Aran above modeled by Stephen. 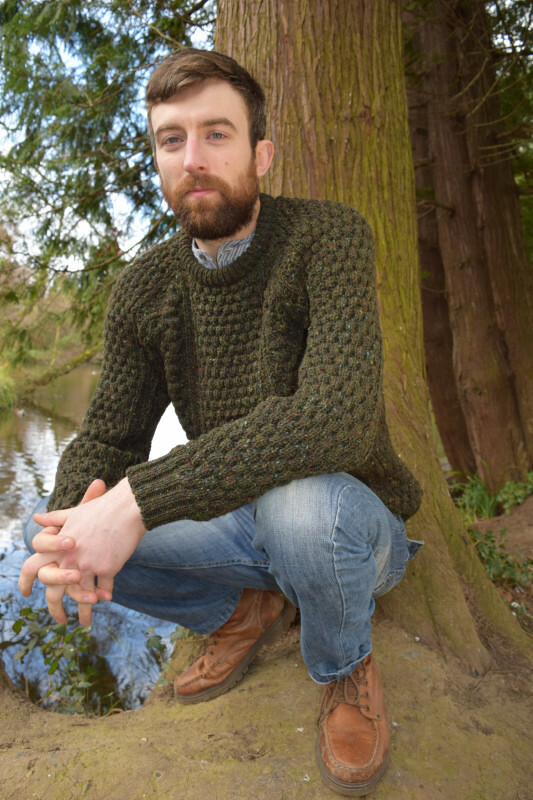 A heavier pure new wool Aran hand loomed in Donegal by Rossan knitwear. The hand loomed Arans are a chunkier style , more wool is used in making them and they are extremely warm. You can see how differently the honeycomb stitch looks on a handloomed Aran. Retailing at €89.99. Check out our shop on https://www.youtube.com/watch?v=PKxX_omGt0Q and tell us what you think!